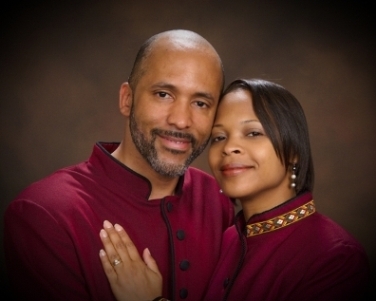 Pastor Joel and his lovely wife Co-Pastor Michele are the spiritual leaders of the Word for Life Ministries (WFLM) Family. Along with the wisdom and support of Pastor Emertus Joel Bowdan II and Lady Christina Bowdan, this dynamic leadership duo is allowing God to work through them to recover, reclaim, admonish and direct souls to Christ for the upbuilding of His kingdom. God has given our Pastor and Co-Pastor a love for His people and a desire is to see God's precious creation live abundant lives in Christ Jesus. This dynamic duo are powerful in ministry, skillfully delivering the Word of God as they are moved upon by the Holy Spirit. They also have a passion for praise & worship and the music ministry, leading the people of God into the presence of His majesty. For additional biographical and contact information for our pastor and Co-Pastor, please click on the links below.